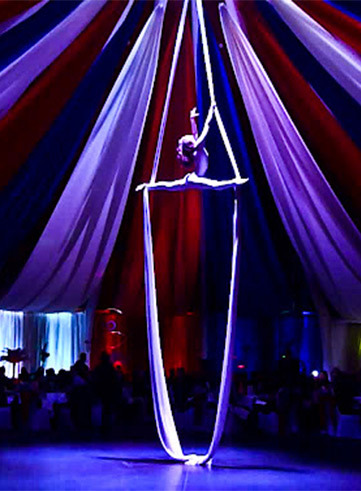 Aerial silks (also known as aerial ribbons, tissues, fabric or tissu, depending on regional preference) is one of the most physically challenging aerial performances to date. 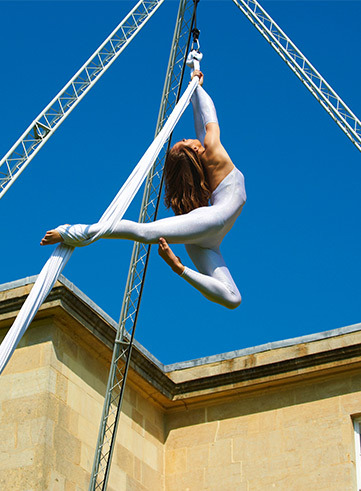 It is exciting, full of elegant contortions and drops and consists of one or more artists performing aerial acrobatics while hanging from a special fabric. Performers use the fabric to wrap, suspend, fall, swing, and spiral their bodies into and out of various positions – a definite crowd pleaser!